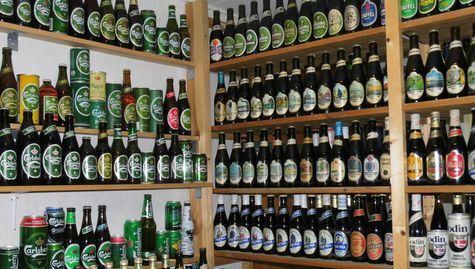 My beercollection concist of most Danish beers, but more is to come from around the world. When time comes the hole collection will come on the net - everything depends of the time to do it. To collect beers have given me the interest for studing breweryhistory. I have reduced the seach to Løgstør and surroundings (my home town). Historys about old locale brewerys can also be expected. (so far only in danish).